Brixton Hill councillor Florence Eshalomi, now also elected representative for Lambeth and Southwark on the London Assembly, has called on mayor of London Sadiq Khan to provide guarantees on the financing of the Garden Bridge and to commit to listen to concerns raised by Lambeth residents. She is concerned that Transport for London will be liable to pick up any unfunded construction costs or the £3.5m a year maintenance costs. Mrs Eshalomi also raised concerns that, while the mayor has called for the bridge to be used for fewer private functions and for the bridge to re-open to the public quicker than planned, the Garden Bridge Trust has yet to agree to those demands. 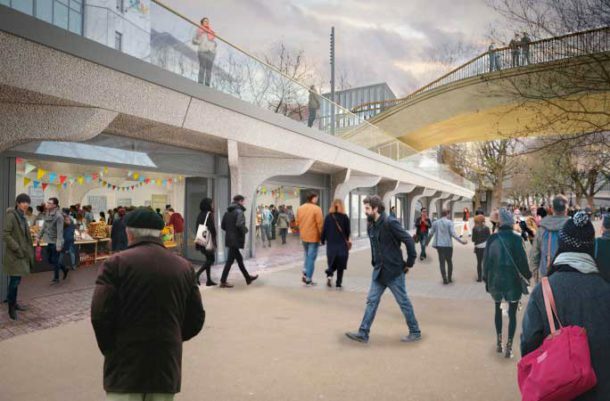 She said: “Residents in Lambeth have raised serious concerns about the impact that the bridge and its construction will have on the South Bank area. I welcome that the mayor has said he will take a much more open and transparent approach to the project, as it is vital those concerns are listened to and acted upon. “I am still to be convinced that the Garden Bridge is the best use of taxpayers’ money, but it is clear that the previous mayor has made it incredibly hard for the project not to go ahead without massive losses to the taxpayer. “That said, I am especially concerned that Londoners will have to foot the bill if the Garden Bridge Trust is unable to drum up all the necessary funding. We need clarity from the Mayor and the Garden Bridge Trust on what will happen under these circumstances. The new mayor is making himself look very stupid by supporting this bridge. His latest pronouncement being it should not be scrapped because it would cost more to do so than has already been spent by the public purse. I for one will regret voting for him if this is the best he can do. Anybody who looks at the detail of this project and the images not seen in the Evening Standard will see quite a serious and adverse impact to the south bank. This is a project that should be stopped. Good for Flo for opposing it.